Tourist trails as a linear form of tourist infrastructure fulfill various functions (i.e. recreational, ecological, economic, social, ensuring safety). They are especially important in national parks, where in selected areas tourist penetration is allowed only along specially designed, official routes. A well-planned layout of tourist trails with appropriate facilities can help to limit the negative consequences of tourist pressure on protected natural areas. The aim of the article is a comparison of offers for active tourists in two mountain national parks (the Krkonoše National Park in the Czech Republic and the Peneda-Gerês National Park in Portugal), taking into consideration the marked hiking trails — the most frequently used type of tourist trails. As a result the level of area coverage by the networks of hiking trails was assessed, as well as their adequateness towards the needs of tourists. The descriptive analysis was based on author’s personal observations. 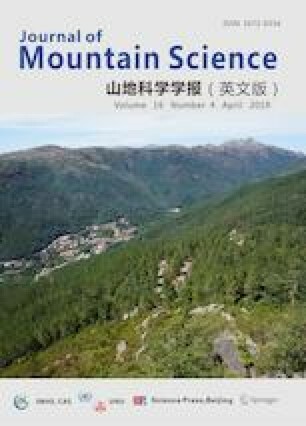 In the examination of hiking trails as part of a system, some elements of the graph theory were used, especially coefficients for topologic analysis of spatial structure. This method enables simplification of a network, comparison of various areas and making some assumptions concerning tourist infrastructure, which is a crucial factor while analyzing trails from a tourists’ point of view. In both analyzed national parks the relief is quite similar, as well as their locations near national borders, what justifies the choice of the areas scrutinized in the paper. What differ them are patterns of tourism development and the current ways of undertaking active tourism. Not similarities but the two latter factors resulted in a distinct character of the two compared networks of trails and facilities connected with them. The system of hiking trails and tourist infrastructure seem better developed in the Krkonoše National Park, what can be explained by historical and social conditions, especially the adopted model of hiking. In the article some disadvantages of tourist infrastructure in both protected areas were presented, as well as some suggestions in terms of its development, resulting from the analysis of networks of hiking trails. The study was funded by the University of Wroclaw. Mapy (Maps) (n.d.). Available on: https://doi.org/mapy.cz/ (Accessed on 27 March 2018).